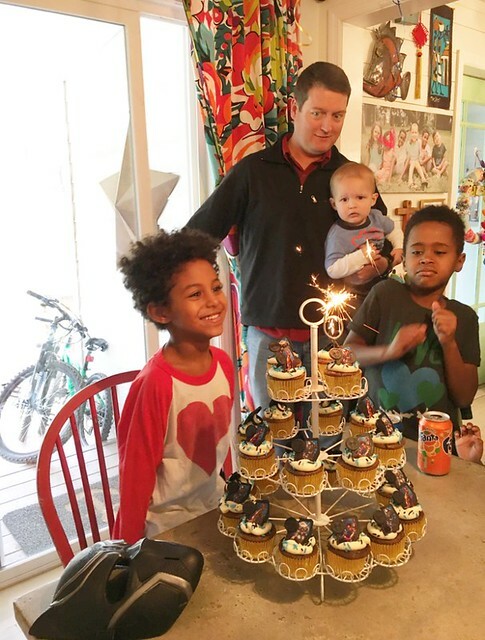 Amon turned the big six on Sunday. The whole family lamented his bigness…minus our littlest. 🙂 That morning Hudson came over all weary and said, “I think he looks taller this morning.” I’m afraid Amon will always be seen by us and the big kids as a tiny little thing. He busted on the seen in full babyness with a beautifully broken heart and won every last one of us over. We’re full on smitten for forever. 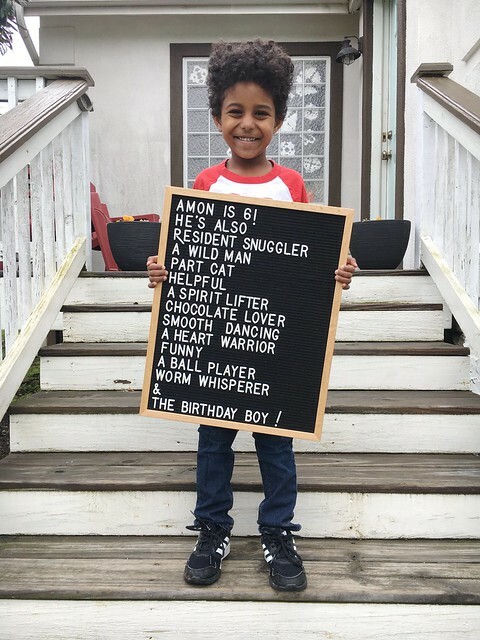 Amon could not have been more excited about his big day. He had donuts for breakfast…of course…they are his favorite favorite thing. 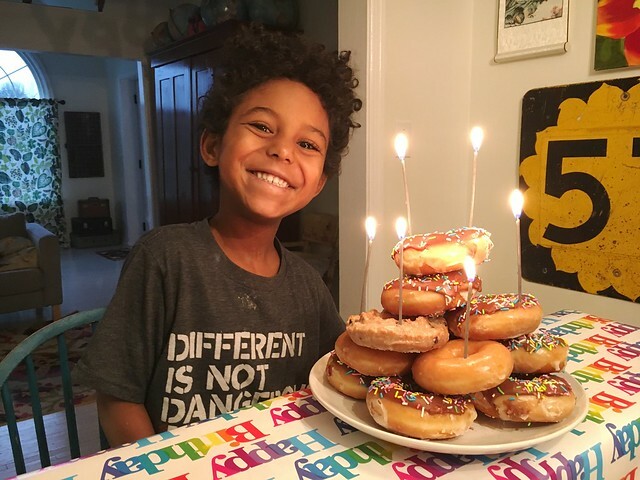 Amon Kelley Fun Fact: If we’re letting the kids pick out a treat at the store Amon 9 times out of 10 will choose a roll of those small little Hostess donuts…chocolate or powdered…while the rest of us are picking out all the candies. Amon has enjoyed donuts on his birthday every single year and I don’t foresee him ever picking anything different. Dude loves his donuts. 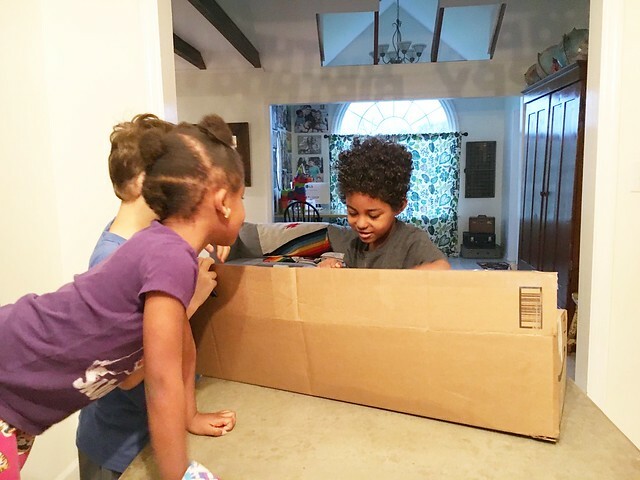 All he wanted for his birthday was a skateboard like the ones Hudson and Solomon purchased. He asked a million and one times for it. When the long box arrived he just knew it was his skateboard. Josh Kelley told him we got him a whistle. Solomon told him it was a bunch of underwear sewn together. And Hudson told him it was a port-a-potty. Hahahahaha. At one point they all pushed so hard he cried. Poor guy. We partied on his actual birthday which was totally fun. 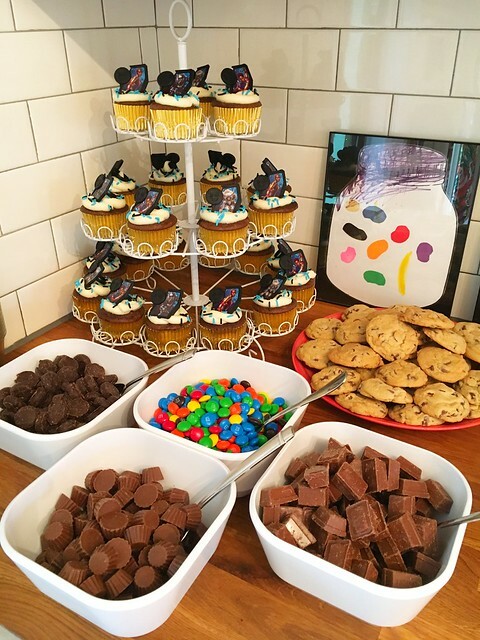 All our family came over for pizza and treats. Amon LOVES chocolate. Like deeply and truly loves chocolate. 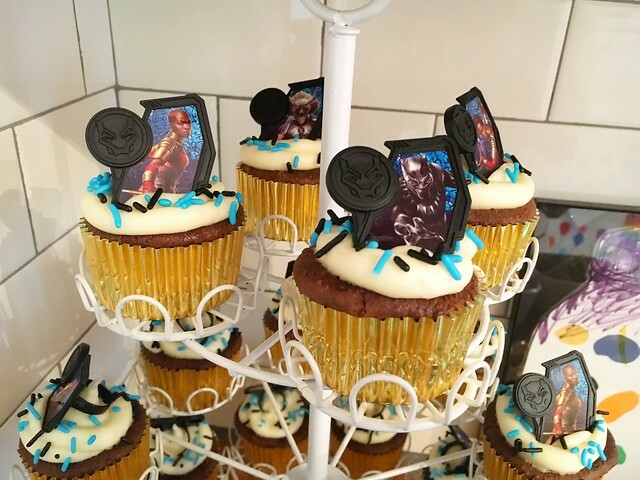 He asked for chocolate Black Panther cupcakes and all the chocolate candies. On Kelley birthdays, just about anything goes. If you can dream it, we’ll try and make it happen. 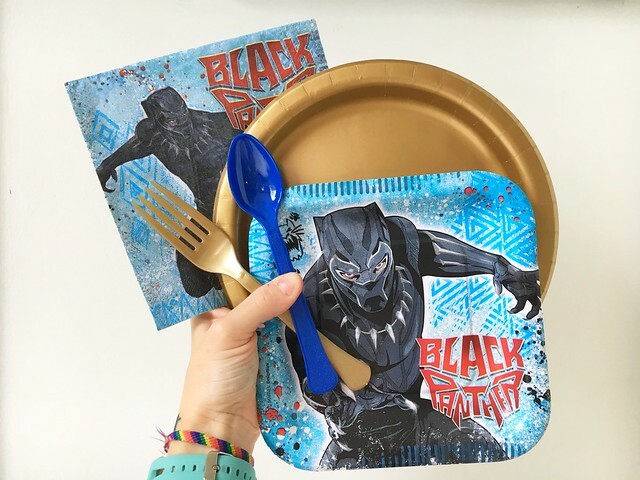 Amazon to the rescue for Black Panther plastic rings. He was thrilled. He literally tore through his presents in 3 minutes flat. He was like a tiny Flash. It was quite impressive and when he finished so quickly everyone looked around at each other like, “What just happened?” And then he raced off adorning Black Panther claws. Gosh I love him. I bought Amon this number six sparkler candle and it was absolutely hilarious. It was sparking everywhere. Kids we’re ducking and sparks we’re flying and everyone was cracking up. Amon couldn’t even get close enough to blow it out. It still makes me laugh thinking about the whole scenario. Cake and ice-cream followed the sparkler show. 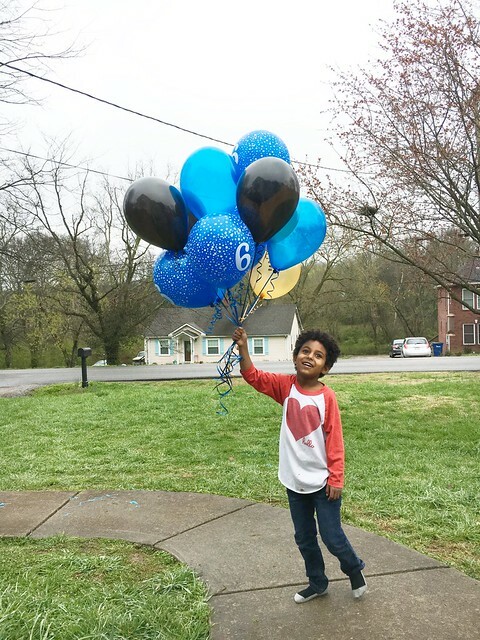 Amon has always loved balloons so we dropped $18 on a whole gaggle of balloons again and he was beyond pumped. After the party he let go of every last one of them. Our niece Campbell who lives down our street even saw them from her house. This kid could not have been running anymore hot or have been anymore excited about his day. He thanked me 100 times and gave me all the hugs and snuggles. On Monday I ate lunch with the birthday boy. He couldn’t wait to take a treat to his classmates and his only request were mini Reese’s cups. I was more than happy with this simple request…the simpler the better. He passed out two to each classmate and then sat at his seat and probably ate 10 of the leftovers. Eeek. I mean, it was his birthday and it’s really hard to resist his sweetness. This kid. There are so many things that are deeply wonderful about him. 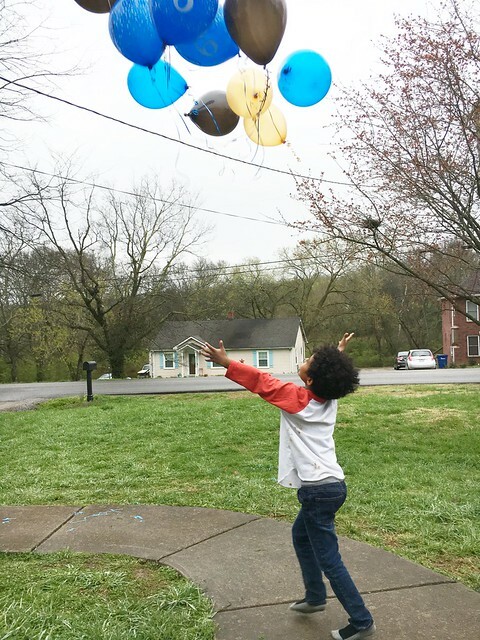 In our grief following Mom’s death God used him to renew our joy. He brought light and laughter and hope back into our home and he hasn’t let up yet. I’ve never seen anyone live with the excitement that Amon does. His name means “faithful” and that is exactly what God has been in his life and ours. God uses Amon so often to soothe my weary soul in a very balmy way as I miss Everett and long for him so deeply. When he curls in next to my body, asks me to rub his head or back and purs just like a cat I smile and breath him in deep. His spirit and snuggles are like no other. 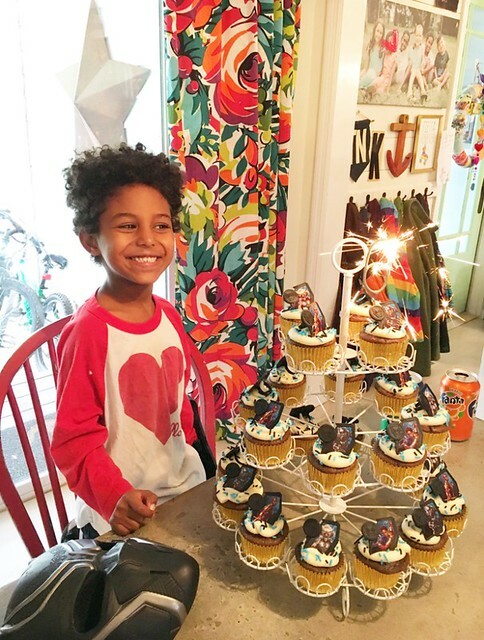 Happy 6th birthday Amon! We are beyond honored to be your family! Amin, here’s a very late “Happy Birthday” to you from the north of England, many miles away from you. Thank you for being just you and for radiating God’s love all around you!! 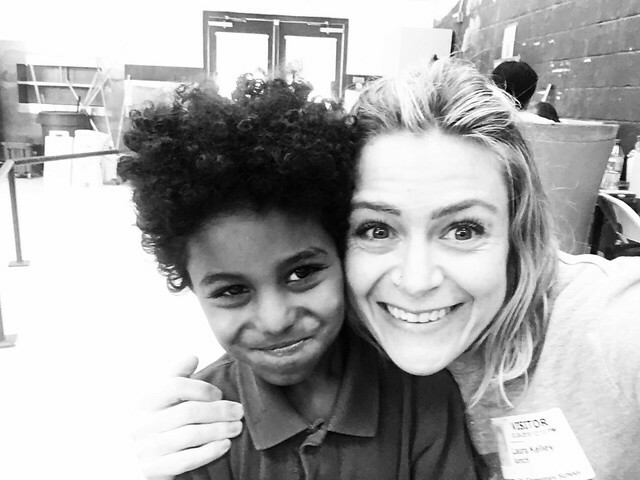 You are a six year old STAR!!!!! 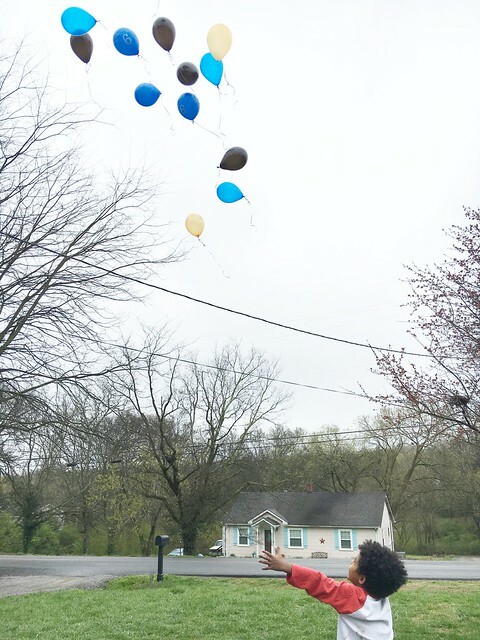 Happy Birthday…What a wonderful story about a very special boy. I felt like I was right in the room and was grinning like a cat!!! He is so handsome and very tender hearted. 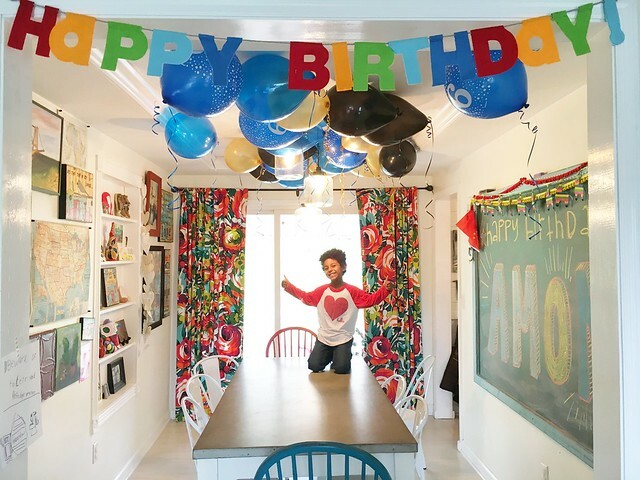 You all know how to party and make the birthday child KNOW they are loved and treasured. 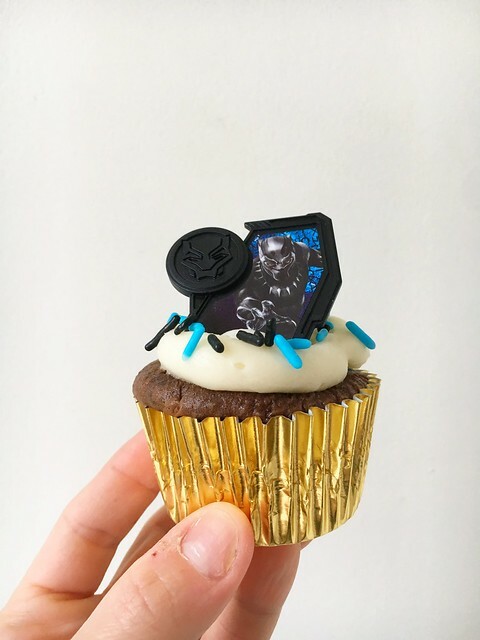 HAPPY BIRTHDAY AMON! He’s soooo stinking handsome. 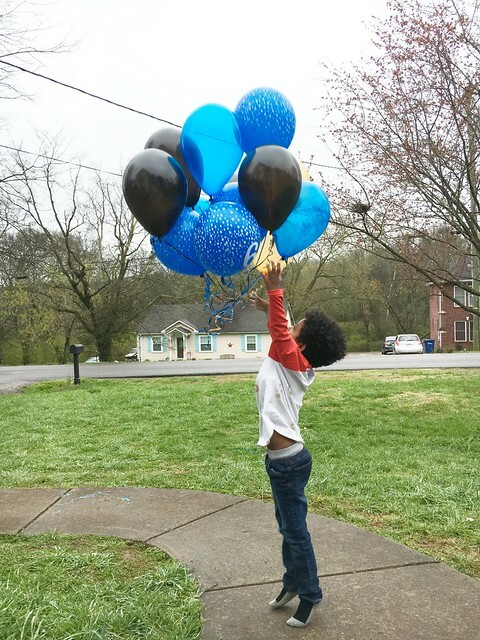 He such a cutie … Happy birthday big boy!!!! I love how the letter board says “part cat”. 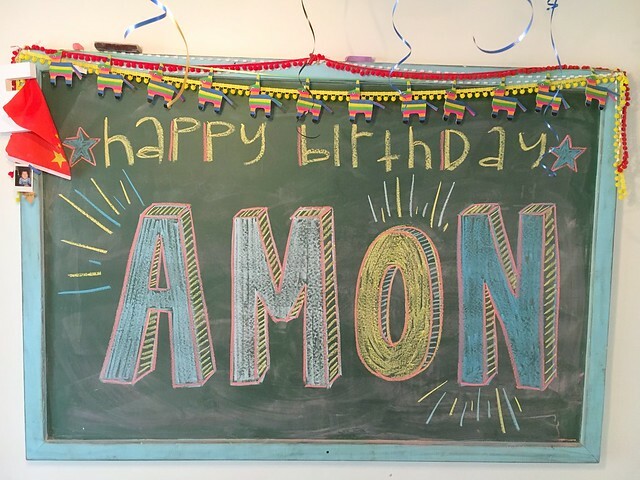 Happy birthday to Amon!